HOW DOES COUPLING HELP HEALTH? Coupling now leads an important place in the ‘Natural Medical System’. There is a long history for ‘Coupling’ from the ancient time itself. 1000 years ago ‘Coupling’ has been considered as the medical therapy, in countries like India, China, Greeze, Rome and Egypt. Now we will see how ‘Coupling’ is useful for the body structure, in detail. There are many uses for the skin by doing ‘Coupling’. By doing ‘Coupling’, the pores in the skin are enlarged, by this the bad wastes of the body are sent out from the body through sweating. ‘Coupling’ reduces the stress in the muscles and removes ‘muscle-pain’. Lactic acid is accumulated in the muscles due to hard works. ‘Coupling’ removes the ‘lactic-acid’ accumulated in the muscles and helps the body to remain afresh and happy. In the places where ‘Coupling’ is done, blood circulation improves. By this, body organs get nutrients and the power of healing the diseases increases. As blood circulation increases swelling qualities will decrease. 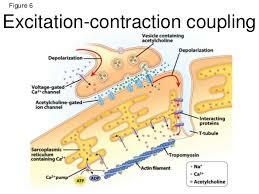 Due to ‘Coupling’, the capacity of taking more oxygen in the blood and the capacity of utilizing it will increase. ‘Coupling’ which is done slowly and moderately with less pressure reduces the pressure in the veins and also softens them. ‘Coupling’ which is done speedily, made the veins flexibleand increases its capacity. When ‘Coupling’ is done in the stomach, digestive system in induced, the wastes available in the stomach are released completely. Further, as the capacity of the liver increases the immunity power also increases. ‘Coupling’ induces the urinary system to function well. By this, more urine is produced and the body-wastes are sent out. ‘Coupling’ done formally, reduces the weight occurs in the heart and increases its capacity. Generally, use your dry hands for doing ‘Coupling’. But if the body is very dry or very week, you can use wet clothes or medicinal oils. It is good to use jingly oil for doing ‘Coupling’. For avoiding the friction arising while doing ‘Coupling’, some are using talcum powder. This is not good. By doing like this, the pores in the skin are closed. Avoid massage of any kind at the time of fever. Pregnant women should avoid ‘Coupling’ at the areas of stomach. Avoid ‘Coupling’ at the areas of stomach when you are suffering from gas trouble, appendicitis, , ulcer in the small intestine or tumor in the stomach . It is not suitable for doing ‘Coupling’ for those who have skin problems.